Finally an episode! what took you guys so long!!? You guys got sidereal and solar days mixed up in the podcast. It is the Solar day that is about four minutes longer as the Earth needs to rotate about a degree more to get the sun in the same position in the sky as opposed to the stars. 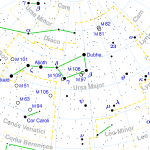 The stars rise about 4 minutes earlier each night, which is why the sidereal day is only about 23h 56m 4.1s in length.